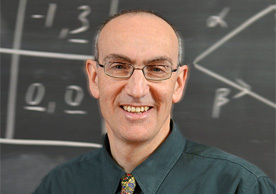 Ben Polak is the William C. Brainard Professor of Economics, and was appointed as provost of Yale University in January 2013. Read more about Provost Polak and the role of the Yale University provost. The provost is Yale’s chief educational and administrative officer after the president. The Office of the Provost oversees academic policies and activities university-wide. The provost is an ex-officio member of every faculty and governing board and of all committees concerned with educational policy or faculty appointments. He has direct oversight of all academic support units, holds institutional responsibility for the allocation of resources, and chairs the University Budget Committee. In collaboration with the vice president for finance, the provost presents the university’s annual operating and capital budgets to the president and to the Yale Corporation. The deputy, associate, and assistant provosts, together with the provost’s administrative and operations staff, support the provost in carrying out these responsibilities.